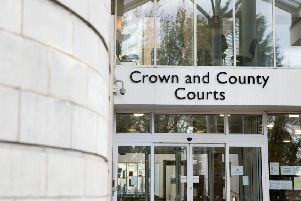 A Wellingborough woman who neglected two Staffordshire bull terriers in her care has been banned from keeping all animals for life. Panda collapsed and had to be put down when 26-year-old Lorna Farrar brought her dogs to the vets. The other dog, Budz, was given food and water and immediately began eating; six weeks later Budz put on four times his body weight after being put on a normal diet. Both Panda and Budz were malnourished, "underweight" and "covered in urine and faeces", the court heard. Ms Patel, prosecuting, told Judge Rebecca Crane that vet Nataliya Smith had "in all her 20 years not seen a dog as emaciated to the same extent". "She believed Panda had been starved for three weeks and it could easily have been avoided," said Ms Patel. "She [Farrar] accepts they were underweight but did not know why. "Her finances did not prevent her from buying dog food." Farrar's lawyer told the court her client was "well-intentioned" but "incompetent" when it came to care. A post-mortem examination of Panda revealed the terrier had undigested penne in its body - because Farrar had been feeding the dogs a "pasta diet". 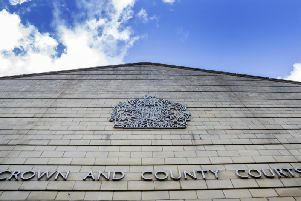 The Wellingborough mum-of-two asked for the lifetime banning order on animal ownership to be imposed. "You caused unnecessary suffering to two dogs and did not take steps to provide for their needs," said Judge Crane. "One had to be put down, the other recovered. "There was no medical reason for the dogs being that underweight. "It was down to how you were looking after them." She added: "You were very remorseful and when you took them to the vet you surrendered the dogs." Ms Farrar was originally jailed for 18 weeks and was release part way pending an appeal. At her appeal on Thursday, Ms Farrar was handed a 12-month community order.